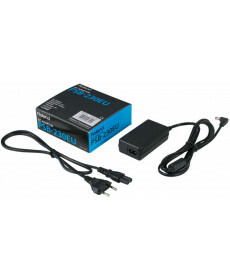 Alimentador Boss PSB-230E. Tensão: 9 V. Corrente: 1080. 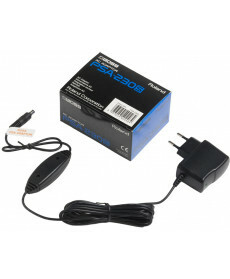 Alimentador Boss PSA-230S. Electrónica: Ficha 5,5 x 2,2 mm (centro negativo). Tensão: 9 V. Corrente: 1080. The PSA series is the recommended power supply for products including all new BOSS compact and Twin pedals, multi-effects and more.